We are currently in the season of boot fairs and they are massively popular in Medway and Kent in general so we wanted to provide you with some information on them! We also have a guide here on the things that you need to take with you when selling at a boot fair and tips for when you’re buying at them. Enter your details in the boxes to receive regular updates on Medway boot fairs! April: 29th 2018 (according to their website) and then we presume that it’s every Sunday from then on. There is also the Hempstead Boot Fair (Broomfield Farm, Hempstead Road, Gillingham, Kent ME7 3QL) which, according to its Facebook page, appears to start in May 2018 (that’s all the info we have so far). In previous years there have been over 100 stalls for visitors to peruse. It appears that it’s opening times this year are from 11:30am until 3:30pm. Know of any other boot fairs in Medway or Kent? If so, let us know by either by using our contact form, Twitter or Facebook pages! If you’re looking for a guide on things you need when selling at boot fairs, we have created one here. People love boot fairs for a number of reasons such as them being a way for people to get rid of things that they no longer want or need and getting some money for them, especially if the alternative was for them to get rid of these items was to give them away for free. Another reason that people like going to boot fairs is that they are a great place to buy things that you want for a low price. Boot fairs are probably the place to find things at their cheapest, even cheaper than buying second hand items online from websites such as eBay and Gumtree. The culture of haggling at boot fairs also aids in the ability to get things cheaper than anywhere else as is the random nature of them as you may stumble across something that no-one else has seen but when people look for specific items online they can type in a search for them. Boot fairs are also a social occasion. 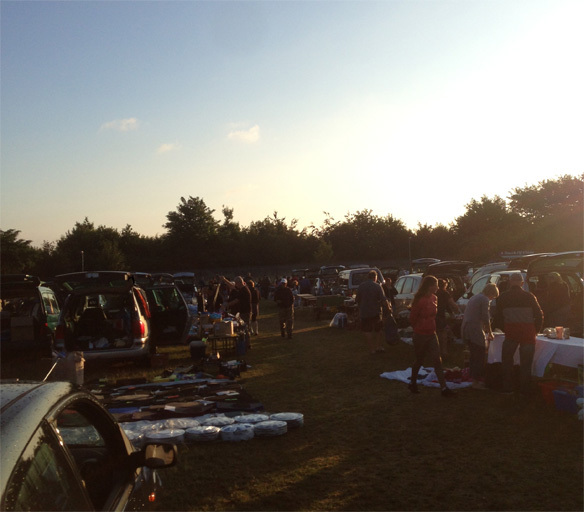 Many people both buy and sell at boot fairs each week and will get to know the familiar faces. They may also buy from the same stalls each week as some people treat boot fairs as at least a bit of side income so may get new stock to sell each week. There are things that you need to take with you no matter whether you’re planning to either go there as a seller or a buyer. For example, the weather can turn quickly so you need to be prepared for it to rain when you’re there so make sure that you take an umbrella, jacket, hat and some boot for muddy fields. Even if you don’t want to carry them around with you make sure that you keep these things in your car. It’s worth also taking carrier bags with you as, if you’re going as a buyer, remember that sellers may not have many carrier bags to hand out or they may have run out. If you’re buying bigger items you can carry them around the boot fair and back to your car easily and they will also be protected should it rain. Sellers may also run out of change or have very little of it so if you have pay the exact amount for an item you will be a seller’s dream! They may even be prepared to give you an extra discount on something if you can pay the exact amount as it means that they have more change in their float. You will also need something to store this change in such as a decent wallet, bag or change belt.